The Stellar data care experts team successfully recovered most of the data from Barracuda® Message Archiver (model 1050) in committed time. The organization is a leading IT company in India, which specializes in deployment of cloud solutions for enterprise collaboration, network and cloud security, and disaster recovery. It was using a Barracuda® Message Archiver (model 1050) - having 66 TB storage capacity - for archiving emails and facilitating email search, retrieval, and export queries. The Barracuda® Message Archiver (model 1050) was a regular RAID array that comprised of 26 SATA HDDs (Western Digital and Hitachi), each with 3TB storage capacity. It had 34-TB of archived emails, which was critical data apart from the other data stored on it. A potential problem in some of the HDDs deprecated the RAID array performance, which triggered disk replacement workflow to maintain the necessary redundancy levels. The storage administrator replaced the drives to rebuild the RAID array for reinstating peak performance. The RAID controller didn’t recognize the original configuration but instead showed the replaced drives as foreign configuration. As a result, the process failed and the message archiver couldn't detect the drives or mount the data. This problem persisted even after replacing the existing message archiver and using a new message archiver to read the drives. The Barracuda® archiver indicated a foreign configuration state for these drives. The failure of Barracuda® Message Archiver (model 1050) turned the entire storage including the 34 TB archived email data files inaccessible. This may further lead to permanent data loss, in case the customer continued to forcefully reconstruct the RAID array again. Failure of Barracuda® Message Archiver (model 1050) revoked organization-wide access to crucial information that was stored in these archived mailboxes. This was a major setback for the business, as the situation may impact the organization’s sales, business intelligence, and even strategic interests. The company was about to lose massive data assets — including 34 TB of critical archived mailbox data — that were gathered and honed over several years. Solution — How Stellar Data Care Experts Rescued the Situation? 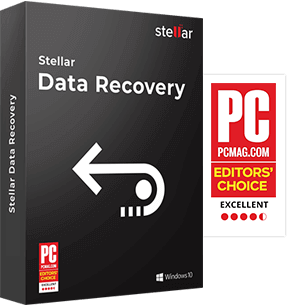 After evaluating various software and service options, the IT team of the company reached out to Stellar Data Recovery for a solution that could take on this momentous data recovery challenge and help them get back to business. The client organization decided to choose Stellar because of Stellar’s strong R&D team, substantial experience & expertise in finding solution for such complex RAID failure cases, and Class 100 cleanroom infrastructure. These multiple hard drive functional issues were the cause of RAID failure and data inaccessibility. Requested tampering permission from client organization to check physical condition of the platter and head assembly. The head assembly was found broken. Also, there were light visible scratches on the platter which might skew the odds of recovering data from this particular hard drive. Nonetheless, a new head assembly was transplanted on the hard drive to evaluate feasibility of salvaging the data. The hard drive remained inaccessible even after successful head assembly replacement. Due to scratches on the platter, this data was irretrievably lost. A team of data care experts cloned the recoverable hard drives by using a proprietary cloning software. The R&D team connected these 25 cloned hard drives to a specialized server to get access to individual drives in order to determine key RAID array logical parameters viz. strip size, data flow pattern, RAID configuration and parity flow information. Upon examining the 25 individual drives, the R&D team found Ext4 file system structure with RAID 60 (RAID 6+0) configuration having backward dynamic parity flow with strip sizes as 128 sectors and undefined strip size based upon the number of drives used in the RAID array. The end result was successful recovery of 100% data from the crashed Barracuda® Message Archiver 1050. The Stellar data care experts team successfully recovered requisite data from the Barracuda® Message Archiver (model 1050). 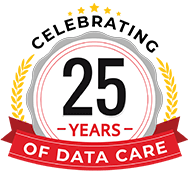 The entire data recovery project — from job intake and allocation to execution and final recovery — was completed and delivered within the committed time. The data was recovered intact, with 100% integrity in its original form, as verified and attested by the client. This remarkably fast turnaround and service quality helped the client organization to quickly recover from the downtime and resume normal business.